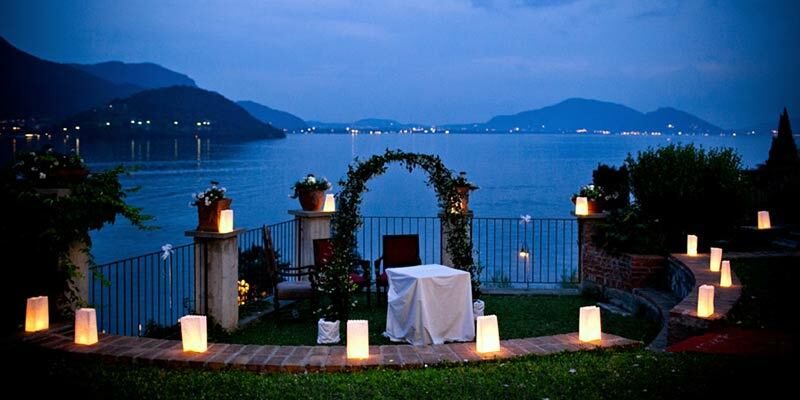 If you are looking for a civil ceremony on Italian Lakes we have many solutions to suggest! 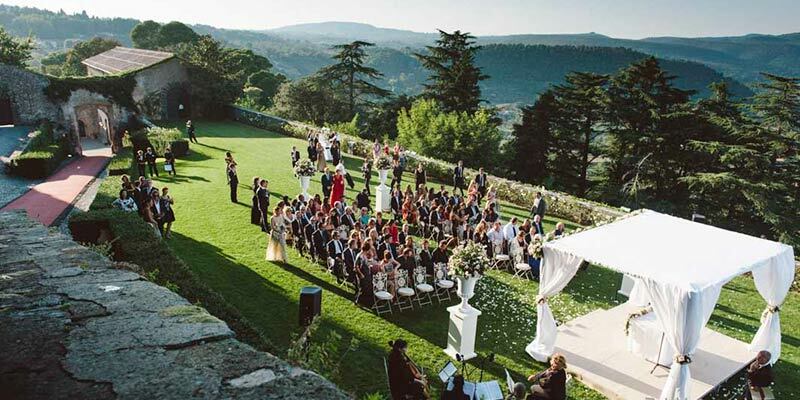 Civil ceremonies in Italy can be performed in every town hall. 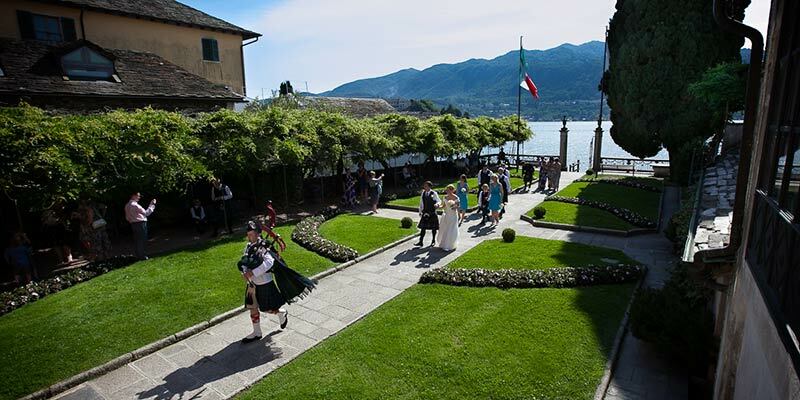 Most of them are located in wonderful historical buildings in the very centre of the town, city or village you may choose for your Italian wedding. Civil ceremonies usually last about 20 minutes. They are performed by local mayor or his/her delegate who speaks Italian. We are able to provide an official interpreter that will translate step by step all that celebrant will say. There is a first part where civil code articles are red, then vows and the reading of the marriage deed. You will need at least two witnesses to the ceremony that could be your maid of honour, a bridesmaid a best man or even relatives or friends. At the end of the ceremony there will be the signature of the register and this will be the closing of the ceremony itself. Your civil ceremony can be enriched and personalised with personal vows, poems, readings, music and even a blessing in some cases. 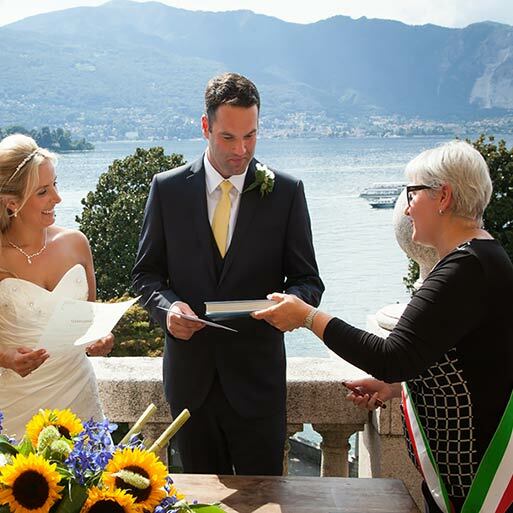 In order to have a legal civil ceremony in Italy you have to provide some paperwork that will be different according the country you are coming from. Our local planners will be pleased and happy to help and guide you for the documentation procedure. They have a wide experience managing legal marriages documentation for every citizenship solution. As far as the venue is concerned we can suggest many options on all lakes. 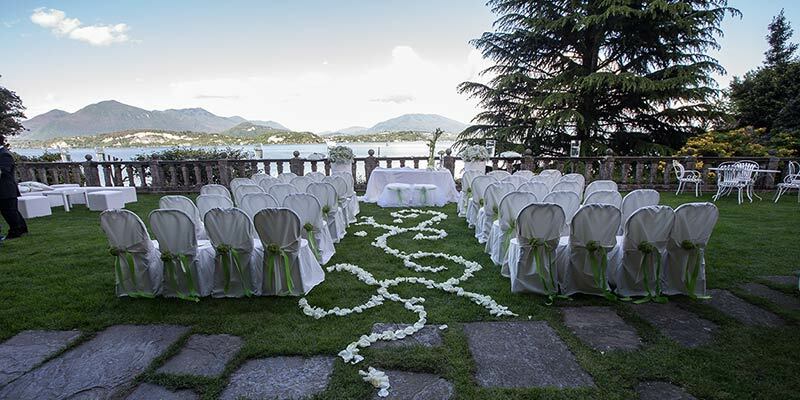 On Lake Maggiore we have many solutions such as town halls of Stresa or Pallanza but also on Borromeo Islands and a stunning outdoor ceremony over the terrace of Villa Giulia or at Villa Claudia Dal Pozzo with a stunning view over the lake. 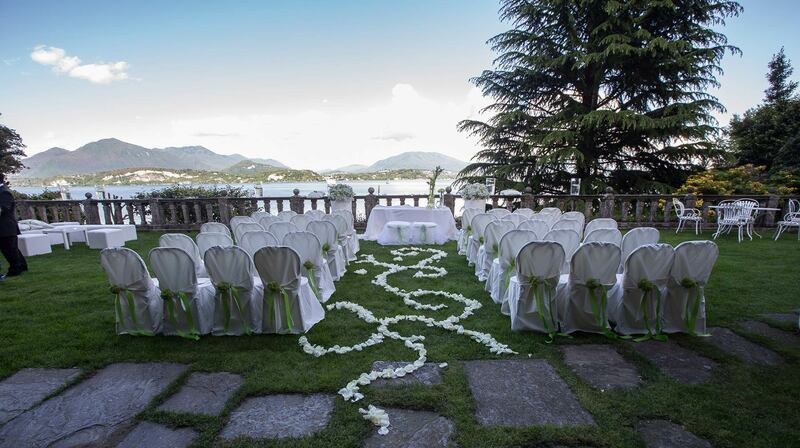 On Lake Orta we can suggest wonderful Villa Bossi, a terraced garden on the shores for an outdoor ceremony with bride arriving on motorboat. 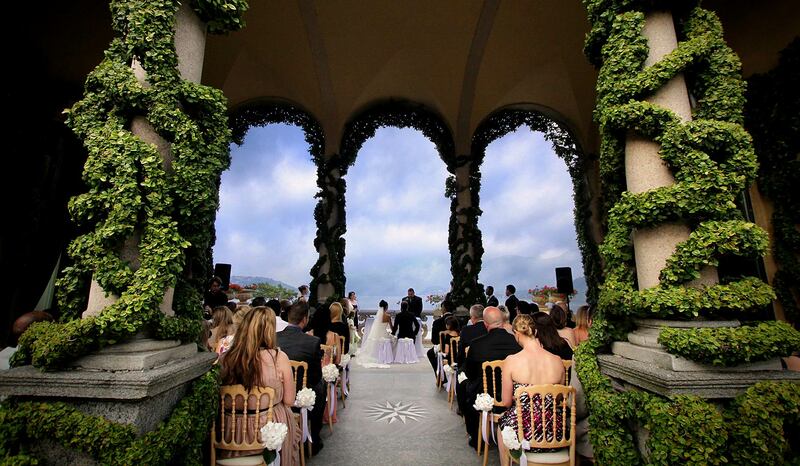 Lake Como offers the possibility to get married in many town halls such as Como, Bellagio, Tremezzo, Varenna, Cernobbio but surely the most luxury solution could be a wonderful civil ceremony at Villa del Balbianello, one of the most wanted and most exclusive wedding venue in Northern Italy. 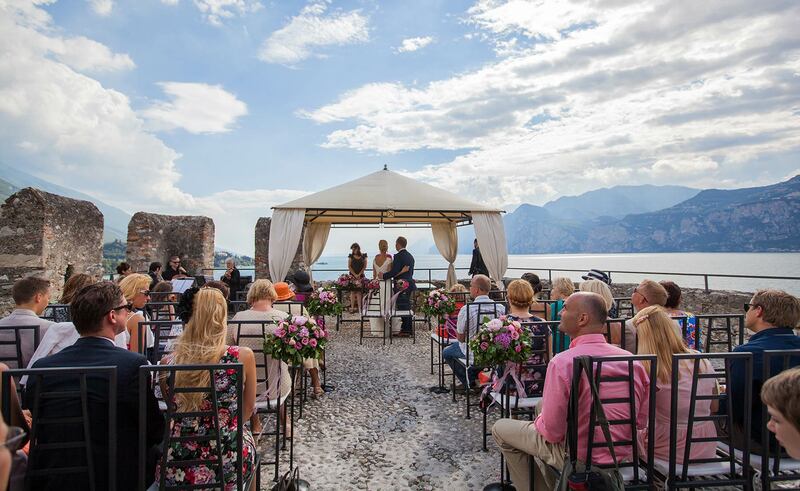 On Lake Garda you could opt for Torri del Benaco, Gardone Riviera and many other town halls, the most amazing above hall is surely the Castle of Malcesine where you ca have an outdoor civil ceremony on top of its tower overlooking a stunning view over the lake. On Sourthern Lake of Bracciano we can suggest lovely historical buildings of the town halls of Bracciano, Trevignano or Anguillara villages. 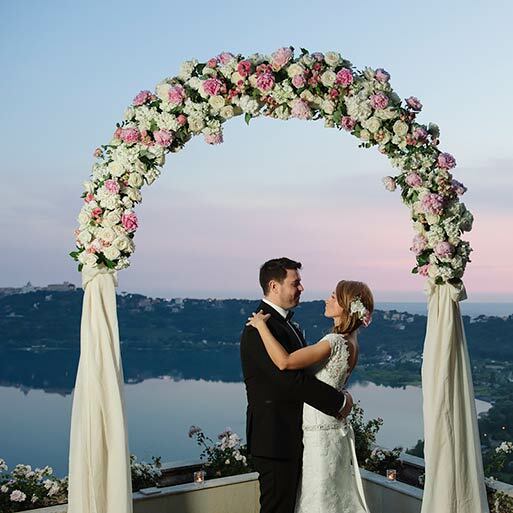 Or you can even choose for a civil ceremony in closer Rome and then reach Lake Bracciano with a short transfer. 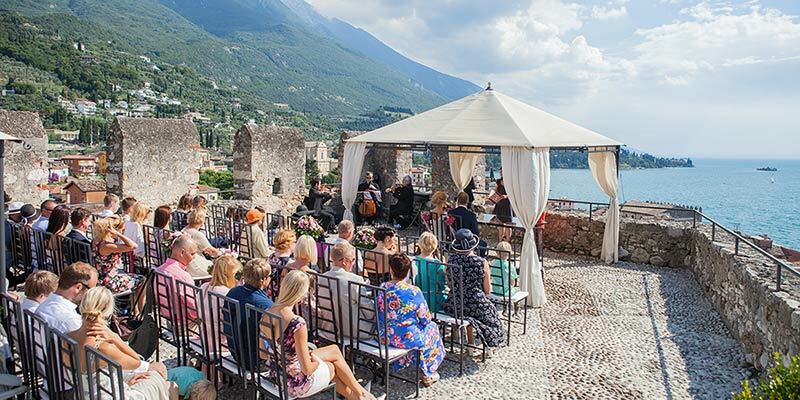 For couples looking to marry in Orta, Stresa, Pallanza, Como, Bellagio, Cernobbio, Torri del Benaco, Malcesine, Bracciano or in general in Italian Lakes we can suggest different stunning venue. 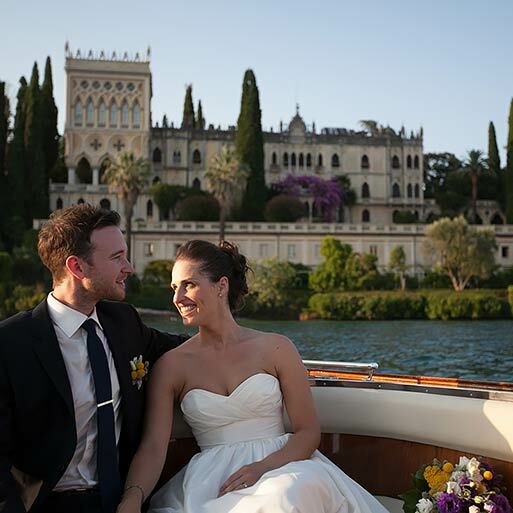 After the ceremony we can suggest on all lakes a wonderful boat trip on the lake with an aperitif for all guests or a private boat trip for only bride and groom for amazing wedding photos on the waters! 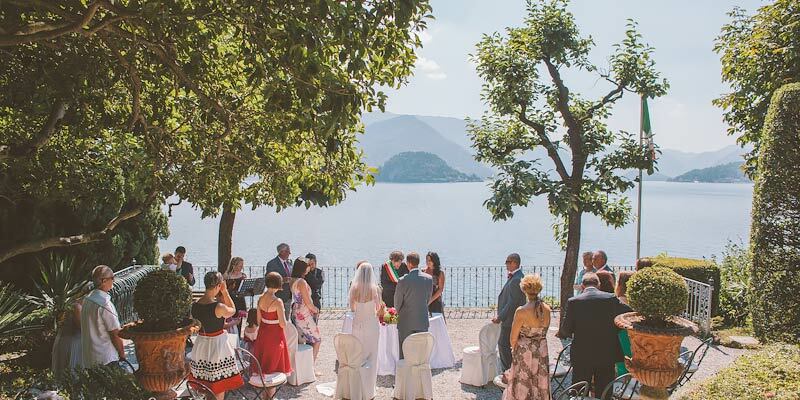 Italian Lakes Wedding can help you arrange all types of weddings: a legal civil wedding, religious wedding, catholic or protestant, symbolic or orthodox ceremonies or simple blessings. There are necessary papers to be drawn up and presented to the local authorities. 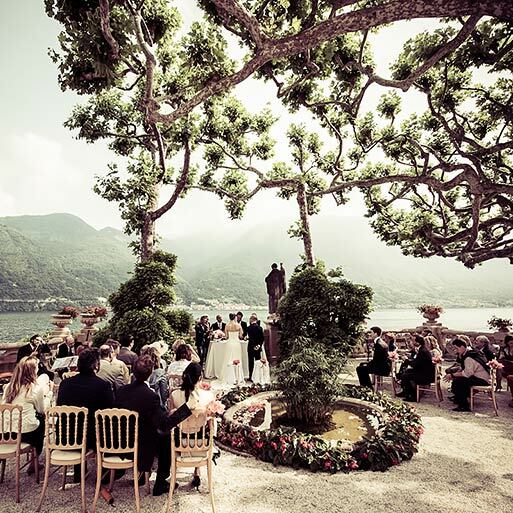 An outdoor civil ceremony by the shores… a dream!